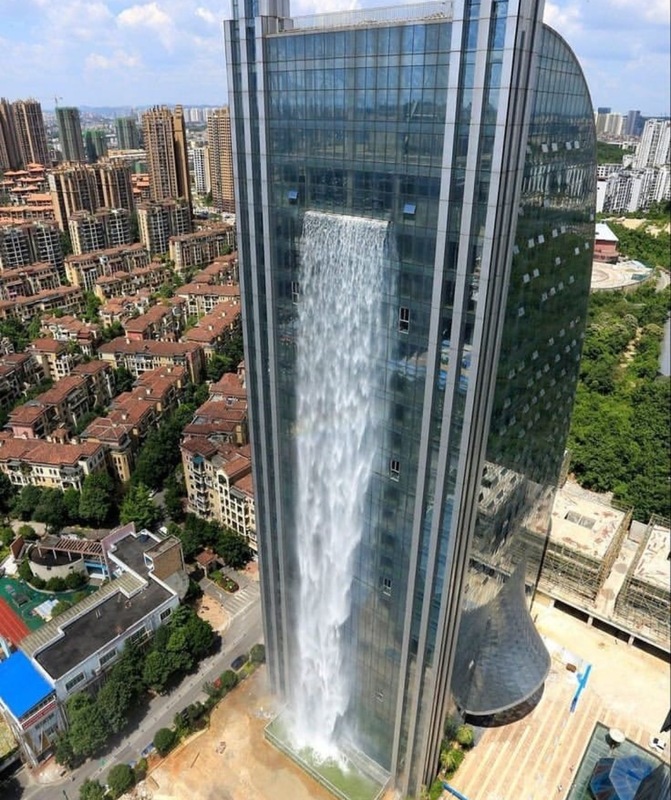 The world’s largest man-made waterfall makes a striking addition to the facade of this skyscraper in the south-western Chinese city of Guiyang. The 108-metre water feature cascades from the top levels of the Liebian International Building, a 121-metre tower being developed by the Ludi Industry Group. 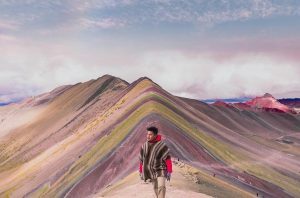 The waterfall was designed to pay tribute to the rugged and natural landscape that surrounds Quiyang. Once completed, the complex will have an additional tower, with a luxury hotel and offices, while the base will house a shopping mall. The waterfall is rarely turned on as it is expensive to run. The waterfall structure itself has been completed for more than two years but has only been turned on a handful of times, as the four large pumps that deliver collected rainfall and stormwater runoff to the top, cost a reported $160 an hour to run. The striking feature is in part a response to the continuing construction boom across China, which has tempted developers to strive for attention with unique and sometimes weird forms of architecture. Some include China Central Television’s futuristic designed-building nicknamed “The Big Underpants”, and a doughnut shaped skyscraper in the city of Guangzhou.